At least 19 people have died in Cook County from cold exposure since the start of the season, the Cook County medical examiner’s office reported. The most recent death due to the cold happened Friday in the Little Village neighborhood on the Southwest Side. A man in his 50s, who has not yet been identified, was found face-down in a doorway after a passerby spotted him in the 2500 block of South Ridgeway, according to Chicago police and the medical examiner’s office. An autopsy Saturday found the man died from heart disease and exposure to the cold. Last weekend, the 12-year-old daughter of a pastor died after a snow fort collapsed on her outside a church in northwest suburban Arlington Heights. Esther Jung and a 9-year-old girl were playing a snow bank on Jan. 20 when the makeshift fort they built came crashing down onto them, Arlington Heights police and the medical examiner’s office said. Both girls were taken to Northwest Community Hospital in Arlington Heights, where Esther was pronounced dead later that afternoon. An autopsy found she died of asphyxia and hypothermia and her death was ruled an accident. Earlier this month, a 93-year-old woman died from the cold in south suburban Harvey. Lela Jones died from cold exposure, with heart disease and lung cancer as contributing factors, on Jan. 7 in the 14900 block of South Seeley Avenue, the medical examiner’s office said. Her death was ruled an accident. Harvey police did not release details. About a month prior, an 82-year-old woman died from hypothermia, with malnutrition as a factor, in Beverly on the Far South Side. Antoinette Hill-Hackett was pronounced dead Dec. 9 in the 10600 block of South Prospect Avenue, the same block in which she lived, the medical examiner’s office said. Police did not have details about her death. 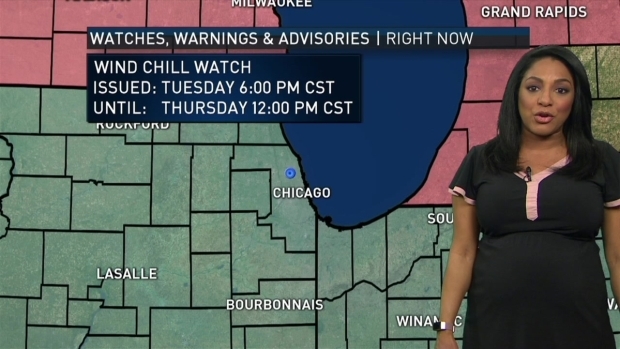 Another woman died that day from the cold in southwest suburban Burbank. Angeliki Smirnis, 88, was pronounced dead at 9:20 a.m., the medical examiner’s office said. Her death, which was ruled an accident, was caused by cold exposure with heart disease as a secondary cause. On Nov. 9, a man died from the cold in West Garfield Park. Terry Caldwell, 34, was found outside in the 4100 block of West End Avenue, police and the medical examiner’s office said. An autopsy found he died from alcohol, heroin and fentanyl toxicity, with cold exposure as a factor. Another man died from the cold two days earlier. Carl Gavin, 66, was found outside on Nov. 7 in the 4400 block of South King Drive in Bronzeville, police and the medical examiner’s office said. He died from heart disease with cold exposure as a factor, an autopsy found. Last season, 47 deaths were found to be at least partially cold-related between Oct. 1, 2017, and April 1, 2018, according to the medical examiner’s office. More than 250 people have died of cold-related causes in Cook County since 2006.